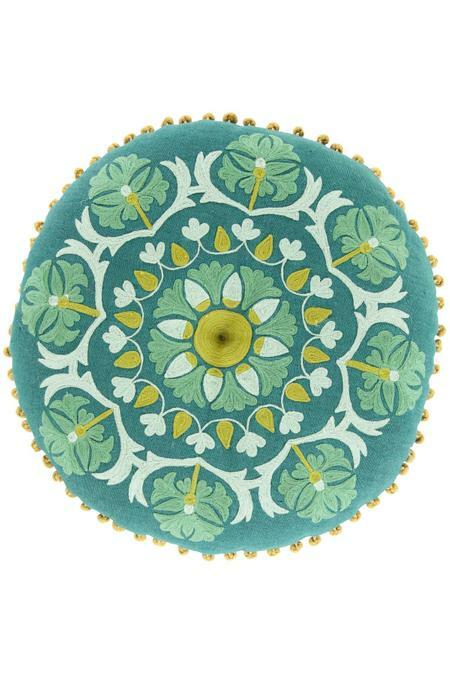 From its circular construction, motif and beautiful green and gold palette, there's just so much to love about this pillow. Lavishly crewel embroidered by hand in a lovely Suzani floral design, it's artfully finished with a row of pompom trim. 100% linen ground. Lavishly crewel embroidered by hand with an Suzani floral motif.